Located in Rogers Park, Yamon Grill brings you a real taste of Jamaica. All natural and healthy grilled to perfection over an open pimento wood fire. 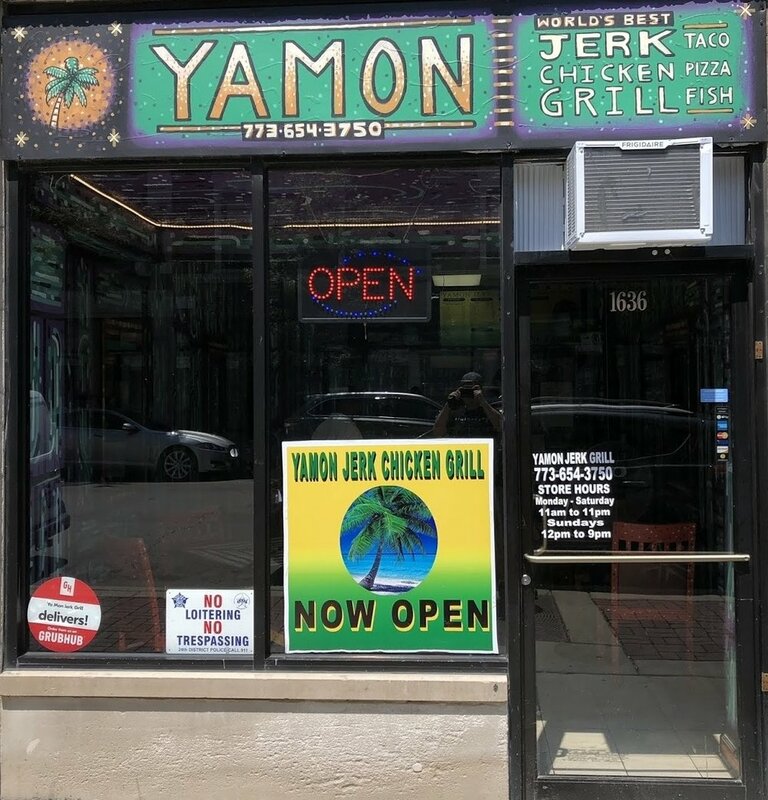 Yamon Jerk Grill opened in May 2018 and is located on the east side of Rogers Park right across Rogers Park Sol Café. The cuisine originates from the Arawak Indians from the 1400’s. We proudly serve the best and most mouth watering jerk chicken and jerk fish in the world. Truly proud and honored to be a part of Chicago’s extensive culture when it comes to food. . Content © Yamon Jerk Grill 2019. Website made by MM Manifestations.